You can review a few events from her timeline below. The great history of Delta Queen in fact start in Scotland, where she was born as a twin sister to the Delta King (from 1924 to 1927). 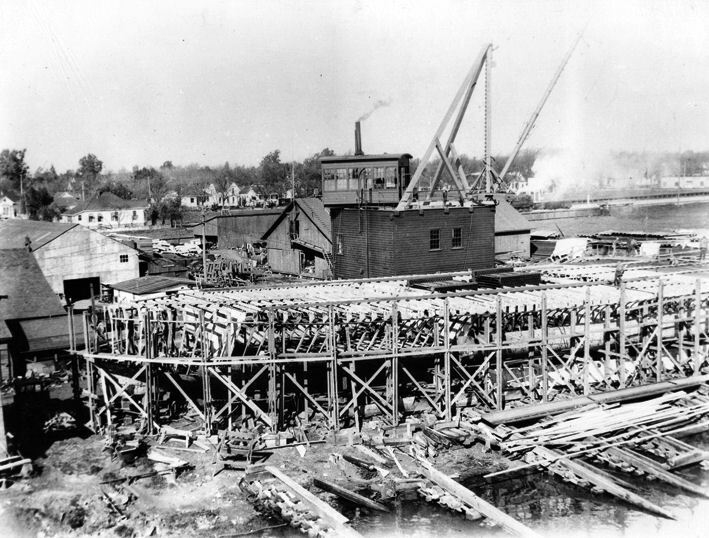 They were shipped in pieces and assembled at Banner Island shipyard in Stockton, California. 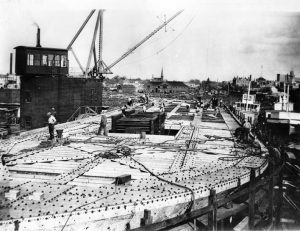 If we look at the average cost of $75,000 for boats at that time. It can truly be said that she was the Queen from the very beginning, her final cost was $850,000. 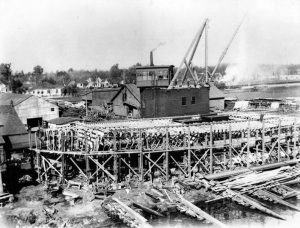 Delta Queen body construction – 1925. A riveted Delta Queen hull. 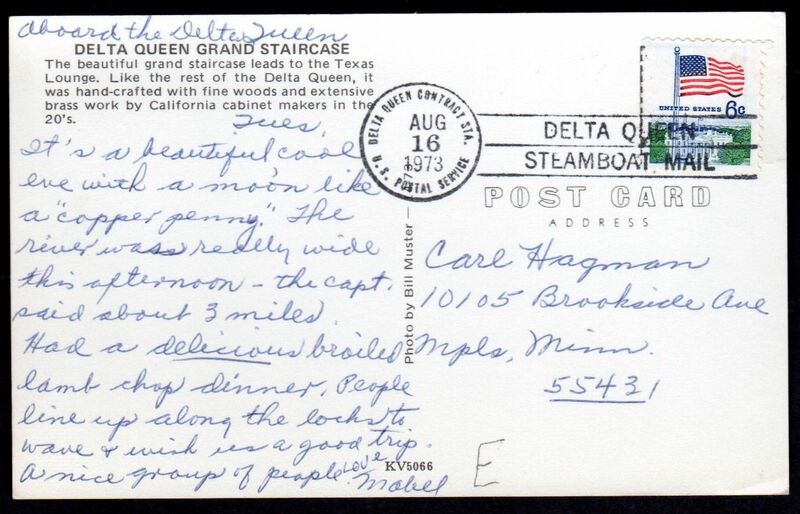 June 26, 1938 – Delta Queen and Port of Stockton raced 17 miles from Sacramento down river to Clarksburg. 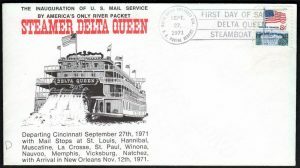 Delta Queen carried 900 passengers who paid 50 cents each. Port of Sacramento won by a whisker. 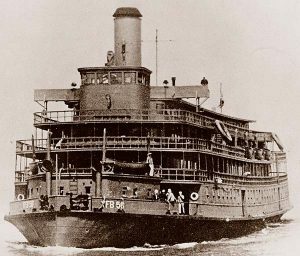 Autumn 1940 to August 1946 – Served U.S. Navy as floating barracks, training facility and troop ferry. 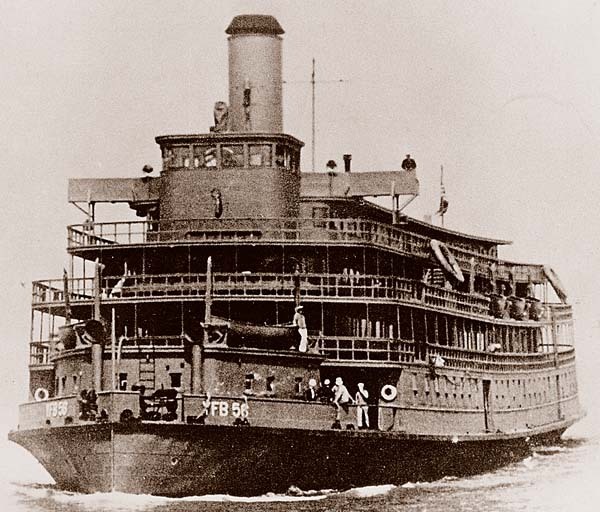 Placed in service as Yard House Boat – YHF 7 (1941–1944), after reclassified to Ferryboat – YFB-56 (5 July 1944–28 August 1946). 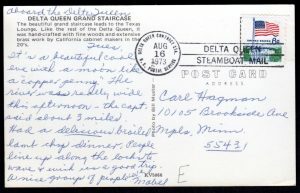 She ferried (up to 3,200 men at once) wounded Pearl Harbor victims ashore from large ships. 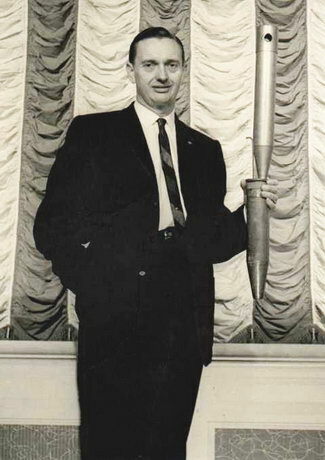 For which she was awarded two medals American Campaign Medal and World War II Victory Medal. 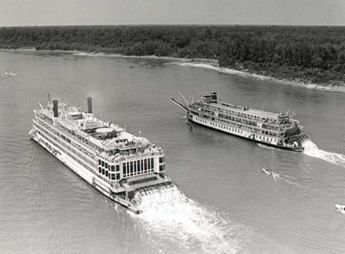 Delta Queen as YFB-56 in U.S. Navy. Painted all in battleship gray. 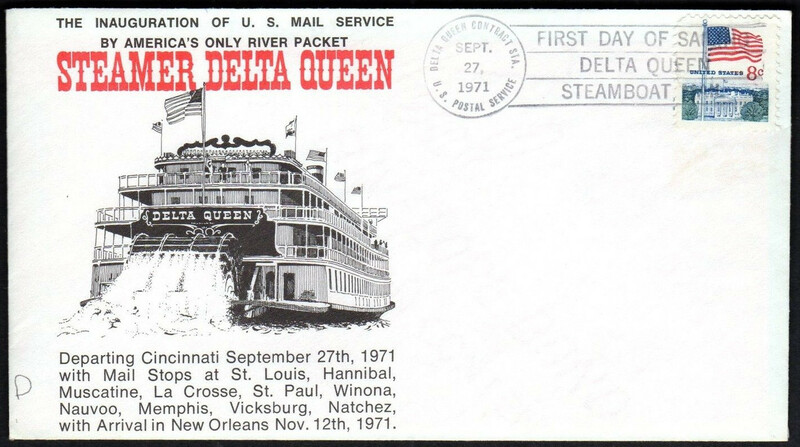 December 17, 1946 – Delta Queen sale confirmed for $46,250 to Cincinnati, Ohio’s Greene Line Steamers. 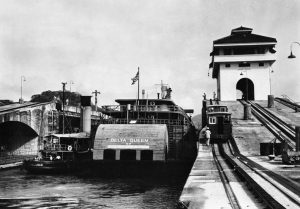 April 19 – May 18, 1947 – Delta Queen crated and towed more than 5,000 miles from California through the Panama Canal to New Orleans. Delta Queen pass through the Panama Canal. 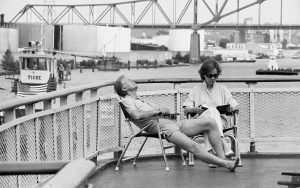 Summer 1947 – Summer 1948 – Delta Queen proceeds under her own power to Pittsburgh and undergoes $750,000 in renovations. 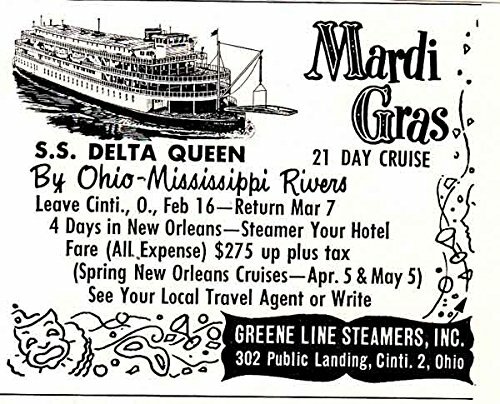 1958 – Greene Line advertised Delta Queen for sale. California businessman Richard Simonton bought a majority of the stock and she continued service. 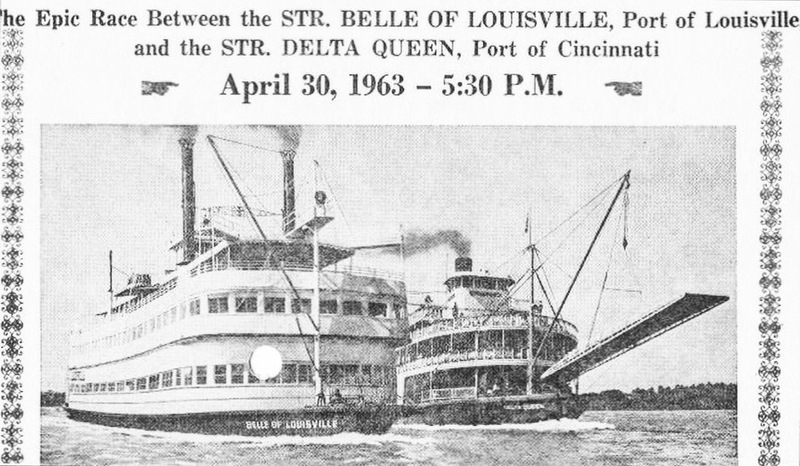 April 1963 – Delta Queen and Belle of Louisville race and it is a publicity success. 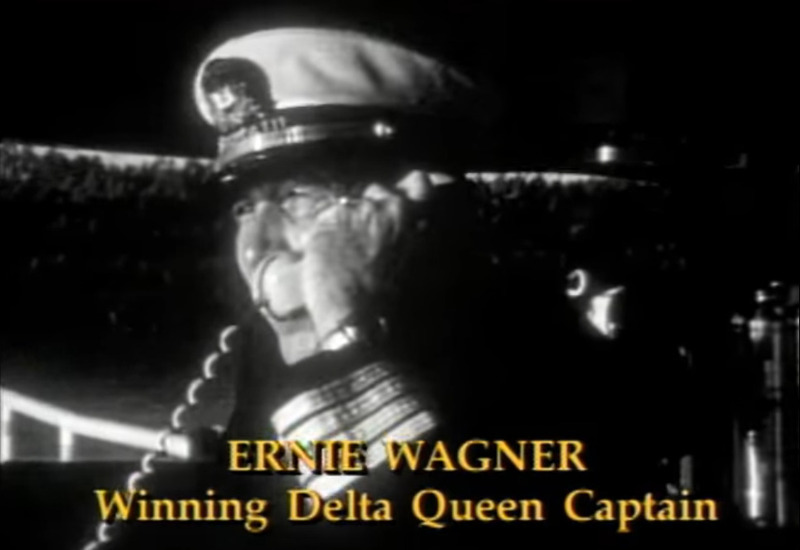 Captain Ernie Wagner the winner. 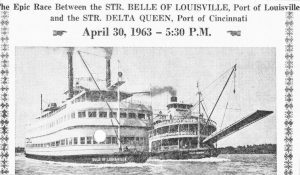 A short 4 minutes video describes the first Great Steamboat Race between the Delta Queen & the Belle of Louisville in 1963. 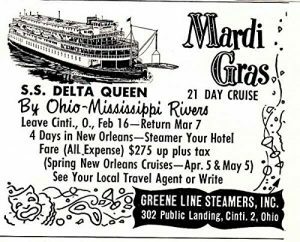 1966 – Congress passed law banning wooden superstructures with more than 50 guests but Delta Queen granted two-year exemption, which was later extended to 1970. June 1970 – Delta Queen added to the National Register of Historic Places. 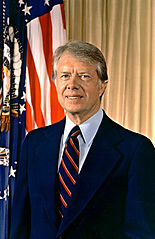 August 17 – 24, 1979 – President Jimmy Carter and family ride a St. Paul to St. Louis cruise. 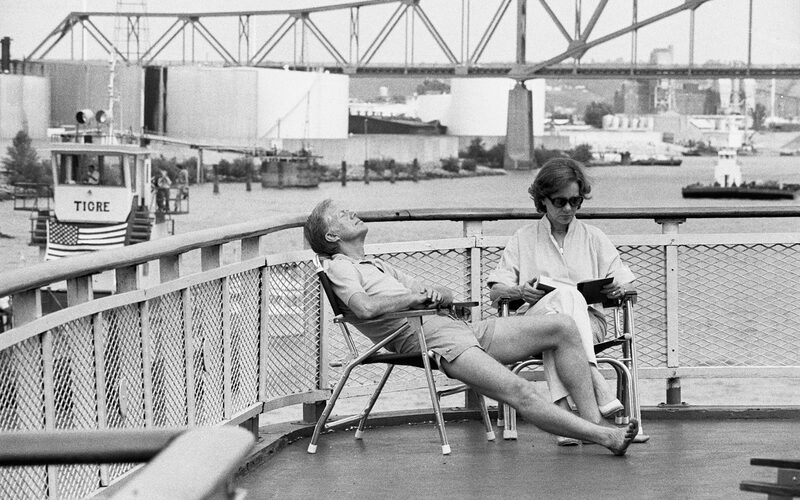 Jimmy Carter relaxing with his wife Rosalynn on Delta Queen.